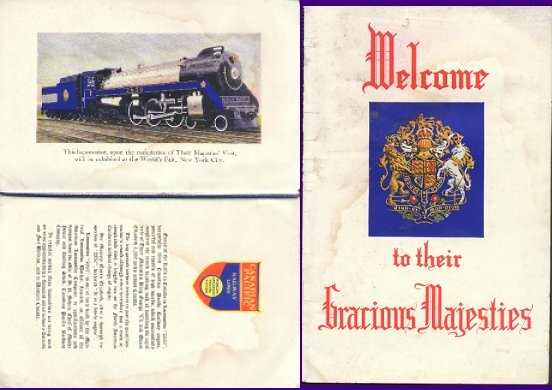 (5) BROCHURE: Welcome to their Gracious Majesties - Pamphlet -Condition: Fair- No tears, but has watermarks. Pictures and print are good.-Colored- c. 1930s. Inside colored picture of Locomotive to go on display in New York's World's Fair (after their Majesties' visit). Canadian Pacific railroad Lines Price: $12.00 + shipping.